The mythical works of modern dance, cabaret theater, and circus arts, across the globe today and yesterday, will populate this segment of Ellefolk Gazette. There has been a historical landscape forged by our human desire to imagine an upturned reality using the body as channel and translator. We will witness images, short films, documentaries, and performance clips in order to highlight as many facets of dance as possible. There are dance companies, performance artists, classes, books, collaborations, generations, and so many more avenues to highlight. With the onset of new technologies, a balance of participants as artists and audiences engage to create environments together. This was the future and it is here now. My story and perspective of the lavishness of body movement began as a tiny sprout. It continued to grow up on stage, behind the scrim, in rehearsals, in costume, throughout my collegiate career, and ending up underground. It is fair to say that the brand which bears the name Under The Root was my inherent need to design undergear for the modern dancer. 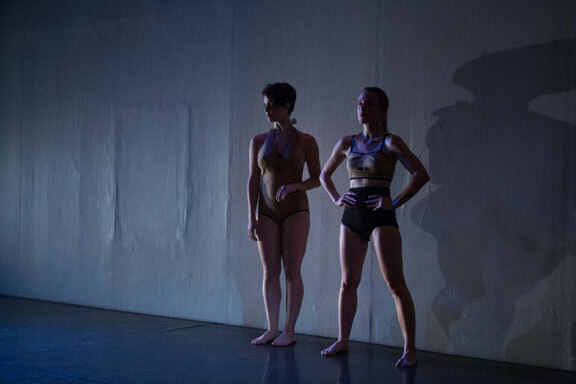 So, without further ado, the first installment of the Body Movement Visionaries picks up where I took the left turn from the theatre stage and glided into intimate apparel design. Dance Ink, a magazine of contemporary dance photography, was in print from the years 1989-1996. A quarterly that centered on the works in New York City during those years. Here is the outstanding news! The founder and publisher, Patsy Tarr, has relaunched and released Dance Ink on June 6, 2016 with Volume 8, Number 1. It can be purchased by a visit to 2wice Arts Foundation. The following images are from the earliest years. Please follow the links and your senses to be submersed in the extraordinary visuals created between a performer and photographer. My hope is for you to discover, indeed as I did, that their expression resonates completely within those underground, imaginative stories you hold true. It seems there is more to come and the boundaries continue to be pushed, which makes all the difference. Did you read or have experience with the original Dance Ink? What is your favorite dance publication, online or in print? The comment section is below.